1. Lately I’ve been overwhelmed with random kindness of strangers over the internet. It’s refreshing and does my heart good. My inbox overflows with goodness from others and this blogging thing is rockin’ my world right now. 2. 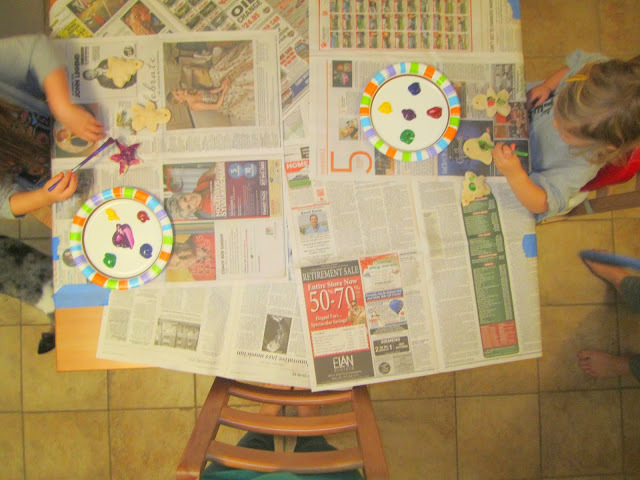 We did DIY Christmas ornaments this week. Pretend you didn’t see these if you happen to be related to me or my children, as you might be getting one of these soon. The best part about this was that both the girls wore Chris’ old t-shirts while painting and looked adorable. 3. Basketball tryouts started on Tuesday–I’m coaching our 8th grade girls’ team. I was a little nervous and didn’t really know what to expect, but once we got on the court, it was like I knew all this stuff and girls were listening to me and doing what I told them. Those twelve years of basketball did stick with me, who knew?? 5. Christmas is in full-swing at the Graham house (as, I’m assuming, most places) and we got to visit some reindeer at our public library this week and decorate our gingerbread house. Although, the house has pretty much been destroyed because every time we turn our backs, someone is ripping off candy and shoving it in her little mouth. Very Christmas-themed high five for Friday today–did you do anything fun this week? Any crafts or recipes I need to try? 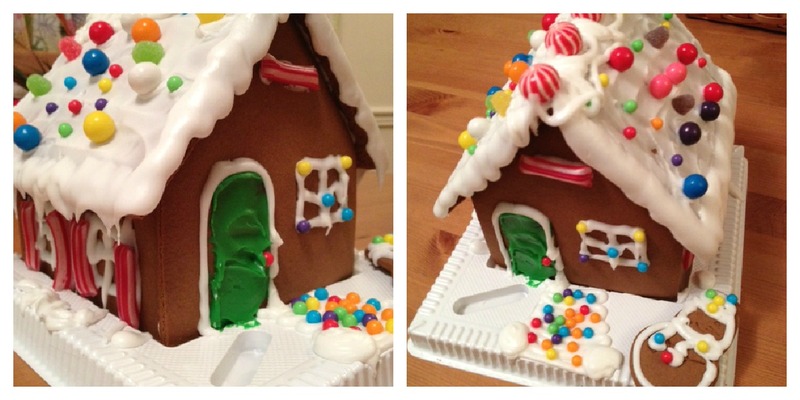 I seem to stay up way too late baking and crafting this time of year…how about you? One last thing, if you’re doing Christmas shopping this weekend (like me…), there’s still time to order online at Kohls. Use code TENBLOG to get 10% off your order and you can use one other coupon code with it–so if you’re like me with tons of Kohls coupons showing up in the mail almost daily, this could amount to a pretty sweet savings!